The Ethan Zakes Foundation was created by Brad and Nancy Zakes in memory of their son, Ethan Zakes who lost his life in 2011 to ALD at the age of 10. The Ethan Zakes Foundation is a 501(c)(3) non-profit charitable corporation established for the purpose of funding newborn screening programs for rare childhood diseases." The Ethan Zakes Foundation is committed to supporting the establishment of state-sponsored newborn screening programs to detect Adrenoleukodystrophy (ALD). ALD is a rare inherited disease that affects approximately 1 in 17,000 young boys annually that are typically between the ages of 6-10 years of age. The primary objective of the newborn screening program is to detect the gene mutation associated with ALD early in life before the disease has progressed to a non-treatable stage. By simply detecting ALD shortly after birth, treatment can be initiated early to save the lives of young boys that are diagnosed with this deadly disease. 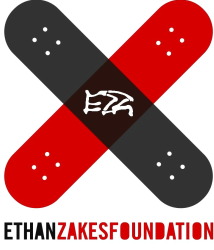 100% of all funds received through the entirety of the activities conducted by the Ethan Zakes Foundation will be used exclusively for creating ALD awareness and the charitable purposes listed above within the meaning of Section 501(c)(3) of the Internal Revenue Code and will not be used for personal gain of any sort.